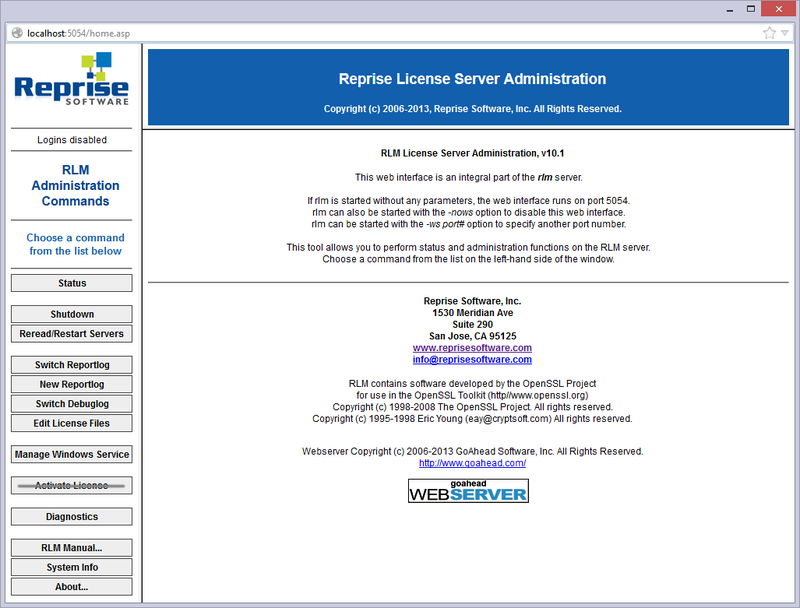 When the Network license server (also named RLM License server ) is running, it can be configured using the Reprise License Server Administration web interface. (If the network license server is not running) In the Start menu, click the License Server shortcut (on Windows Vista or higher: right-click > Run as administrator). Do not use the Activate License button! To get an overview of all options, click the RLM Manual... button on the left or go to the RLM License Administration Manual . 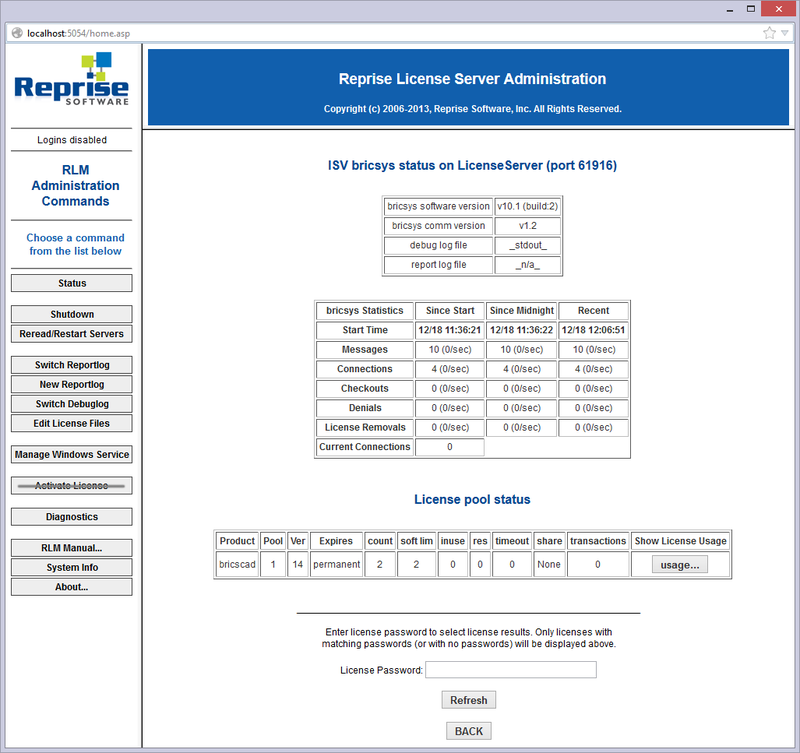 The network license server can be started automatically when booting the license server computer. On Windows Vista or higher, the network license server must be started with administrator rights. Otherwise the service installation will fail. See Start the Network license server. see the RLM License Administration Manual . Click the Manage Windows Service button on the left. 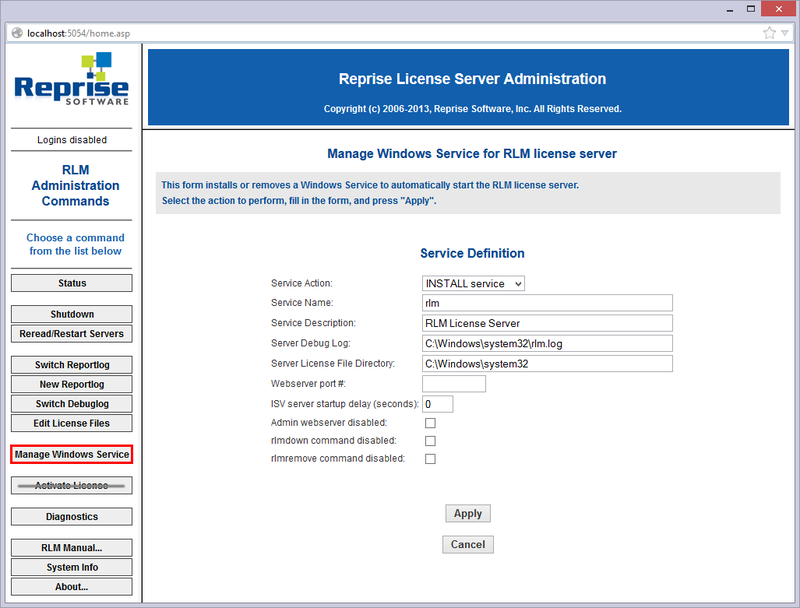 The Manage Windows Service for RLM license server page opens. The service is now installed but not started because the server is already running. The next time the server computer will be booted, the service will start the network license server automatically. You can check the status of all network licenses and of the server. 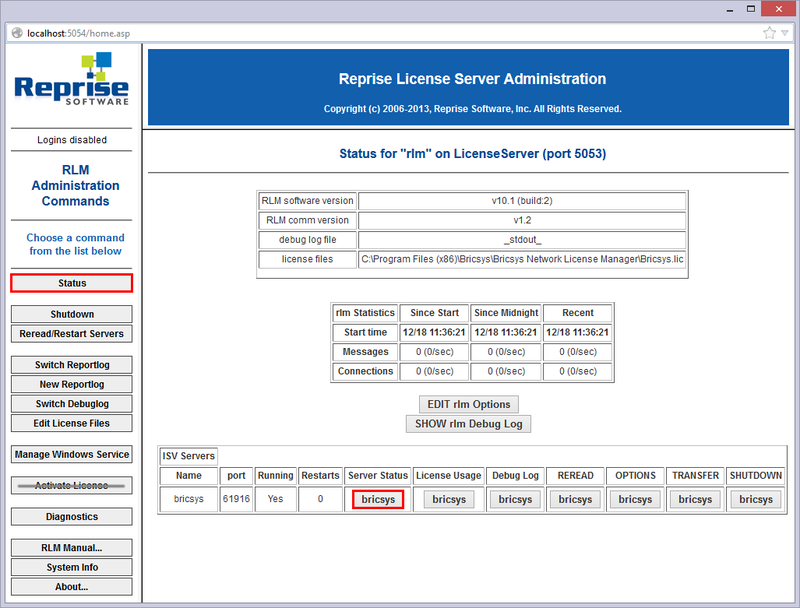 Click the bricsys button in the Server Status column of the ISV Servers table to view the status of the Bricsys Network license. 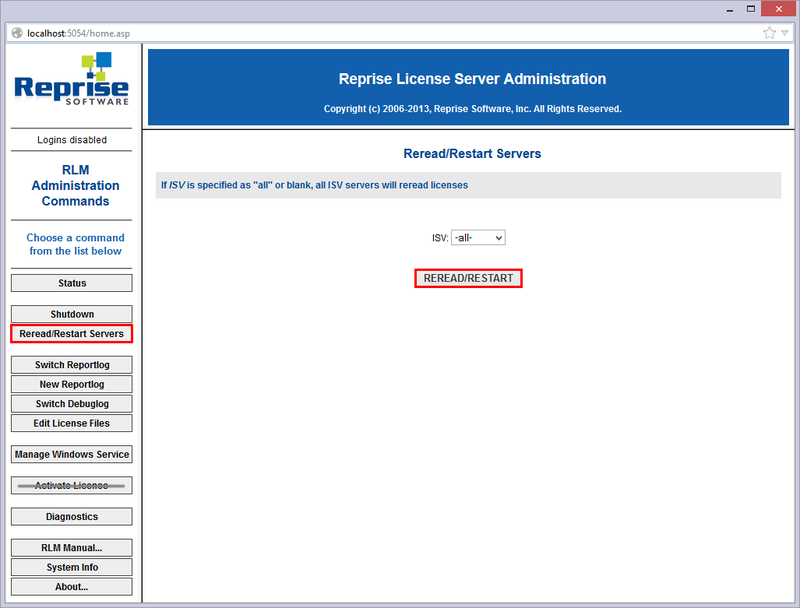 After activating a Network license while the server was running, you have to reread the license / restart the server. Click the Reread/Restart Servers button on the left. The Reread/Restart Servers page opens. Click the Reread/Restart Servers button. The server restarts and rereads the Network license.